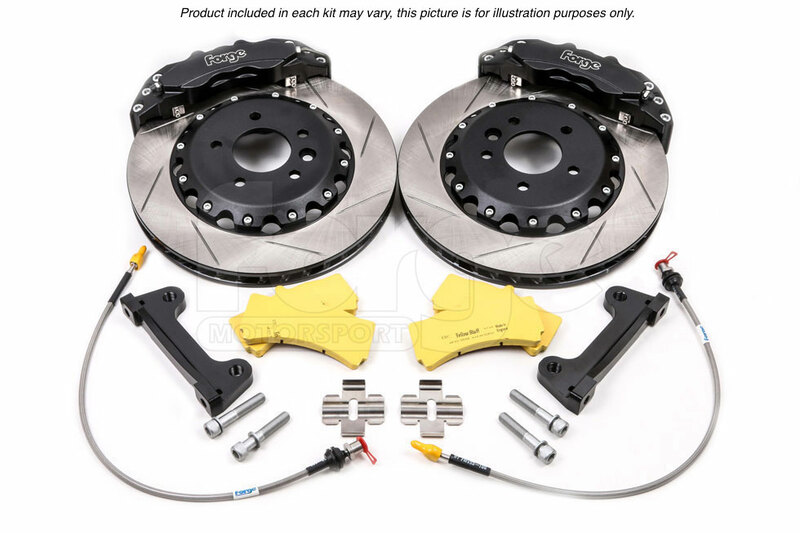 A Big Brake kit with 6 pot calipers and 380 x 32mm ventilated discs. 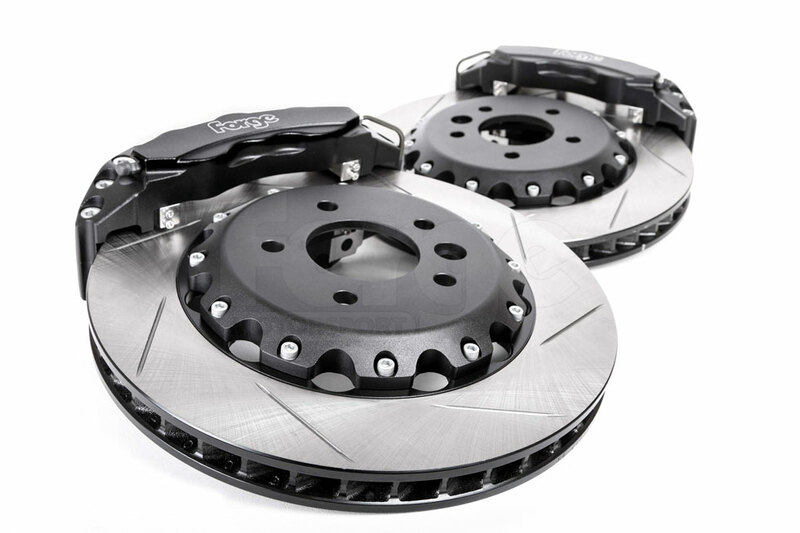 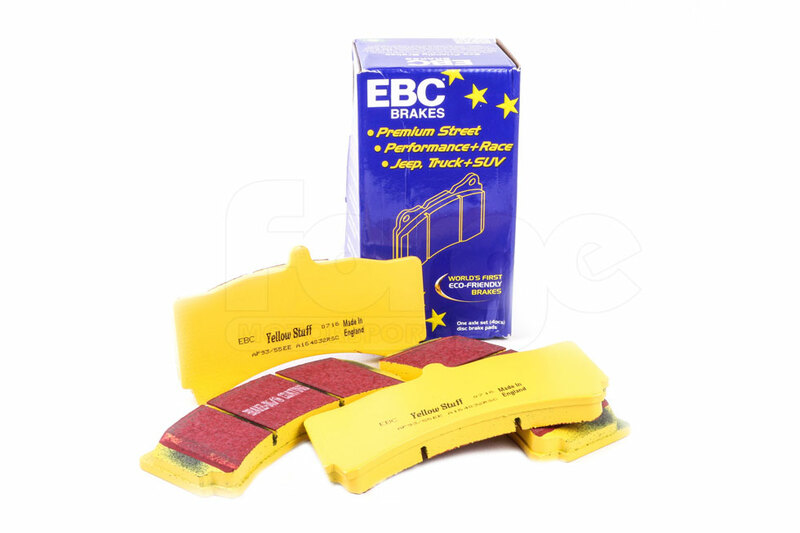 The discs are grooved to remove braking residuals and maintain optimum performance. 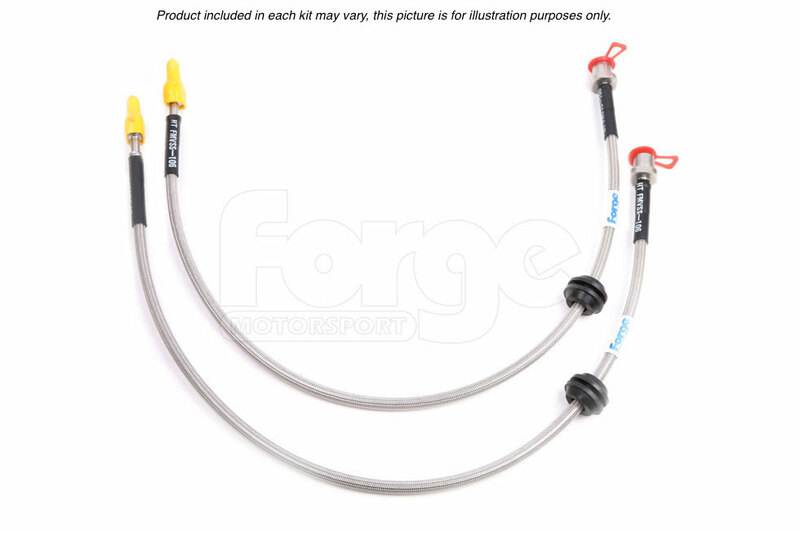 Included in the kit are Forge braided brakes hoses, mountings and pads. 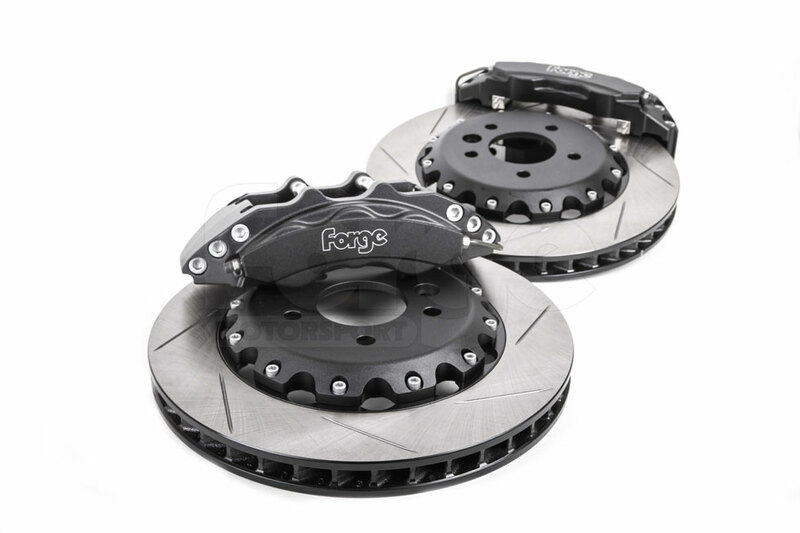 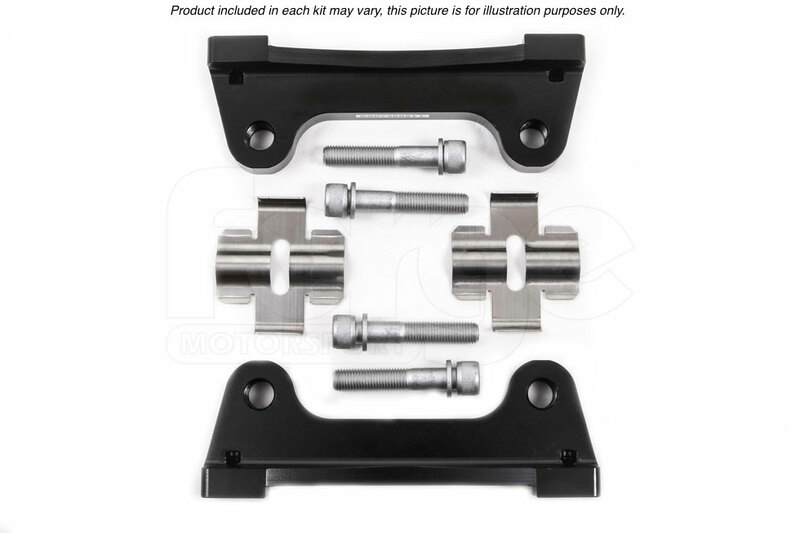 The use of 19 inch or greater wheels will be required and depending on your wheel design, you may need spacers between the hub and the wheel in order to clear the calipers.